When it comes to self care there are many different things you can do to make sure you are healthy and happy. Hobbies that make you happy are the best way to get in some much needed self care. If you aren’t participating in self care activities weekly or even daily you may find yourself feeling like you are in a constant state of fog. It’s important to make sure you add self care to your normal routine so you can have more joy in your everyday life. There is this silly concept that self care is just about applying a facemask and taking a hot bubble bath. This could actually be further from the truth. Self care is more than just an at home spa day. Don’t get me wrong, a spa day can be extremely relaxing but outside of taking some time to relax there is no further benefit for you other than being clean. Self care is about taking care of all aspects of yourself. This means taking care of not just your physical health but your mental health as well. Eating healthy, alone time, writing, attending concerts, getting in social time. All of these things and more fall under self care. Even hobbies fall under self care. Why Hobbies Are Great For Self Care? Hobbies are great for self care because it’s time you can spend focusing on something that is purely enjoyable to you. If you spend your entire day doing only things that are work related (both job and chores) you will burn out. Hobbies help to break up the day by giving you not just something to look forward to but satisfaction when you complete a project in your hobby. I’ve gathered some of the best hobbies for self care. These hobbies are geared to helping you relax, destress, and find more joy in your life. Bullet journaling is a fantastic hobby for creative planners. Bullet journaling is cross between planning and doodling. If you are someone who needs to keep track of your life, plans, and habits you will probably enjoy bullet journaling. Crocheting is my hobby of choice. I like to crochet blankets because I can pick them up and put them down as I see fit. Completing a project gives you a sense of satisfaction and it can usually be done while watching TV or to get in a few quiet moments throughout the week. If you aren’t into hooking (crochet term) you might prefer knitting. Knitting is another fantastic yarn hobby where you can create items to wear, cover, or give away as gifts. Just like with crocheting, knitting gives you a sense of satisfaction when the project is done. If yarn projects aren’t your style you might try sewing. You can create quilts, clothing, repair clothing, and plenty of home decor options on your sewing machine. The gentle hum of the machine can be relaxing while also helping you to tap into a creative side of yourself. Exercise is a great hobby for those looking to get healthier. Yoga is great for relaxation while helping with flexibility. Running is a great way to clear the mind. Weight lifting gives you a massive sense of accomplishment as you make gains. Exercise is an important part of self care so be it a nightly walk, an at home workout, or a trip to the gym you need to make sure that you are getting in physical activity. To go along with them also make sure that you are eating the right things for your body as well. Want a more relaxing hobby that doesn’t require getting sweaty or needing a large amount of storage space? Amature photography might be right for you. Between a cheaper camera setup you can pick up and go exploring nature or your city and capture some amazing shots. This hobby hits two important parts of self care. You are exercising your brain by being on the lookout for great photos and seeing what the average person might miss while also exercising the body. Those long hikes looking for great nature shots gets your body moving and feeling great. Creating art and painting is one of the few ways that really help to build your creativity. The self care benefits of spending time with a paint brush and a piece of canvas can be relieving stress, clearing your mind, and building on creativity. If you have never painted before try a paint and sip party and see how you like it. All the supplies for painting are usually included in the price (always check the fine print.) This allows you to see if painting is right for you before you go and drop some money on painting supplies. Spend time reading every single day. This small hobby can go a long way in clearing your mind and helping you to relax. You can escape the stresses of your life and dive into new worlds or take some time learning something new. I love spending time reading. I utilize a Kindle Unlimited Subscription with my Amazon Fire Tablet. As a blogger with two different blogs writing is my job. Even though it is my job the writing I am talking about is much different. When I’m just writing for myself I can deal with mental health issues like anxiety and depression easily. One of the biggest issues people with anxiety and depression deal with is the ability to talk to someone about their issues. It’s not always that we don’t have someone to do that with, it’s that we don’t always want to burden people with our issues. Writing is one way we can voice our issues without actually voicing our issues. It slows us down to work through our anxiety so we can come to terms with what is actually happening instead of just continuously imagining the worst case scenario. You can always pick up an instrument to play as well. Playing an instrument can get your creative juices flowing while providing some much needed stress relief. Take lessons weekly to break up the monotony of your week or just let loose with a jam session with some friends. Creating and playing music can increase happiness and reduce stress and depression symptoms among a host of other things. Check out this article from INC on the benefits of playing music and how it helps your brain. If you are going to use a hobby as a form of self care you need to make sure you actually devote some time to that hobby. Schedule in time for your hobbies so you can take care of your mental and physical well being. I recommend taking at least 20 minutes each day to devote to your hobby of choice. If that’s not realistic for your schedule make sure you schedule a couple hours at least once a week to your hobby. This time will leave you feeling accomplished and refreshed. It gives you something to look forward to. Finally, it leaves you feeling happier with yourself. That’s the most important part. Pick a hobby that makes sense for you and your schedule. It should engage your brain while also giving you time to relax from your daily stresses. Don’t try to force a certain hobby to be your hobby if it doesn’t make sense for you. Some people find it relaxing to sit and paint a picture while others find it stressful. If you get frustrated easily with creative or artistic tasks do something like read or write. Your hobby should make you feel good. Don’t be afraid to try something new too. Trying something new can give you a sense of adventure. So try painting before deciding if it’s right for you, try out reading daily, or set a goal to exercise everyday for a week. This will help you to determine the right hobby for your self care needs. Using hobbies as a form of self care is essential for the go getter type personalities. 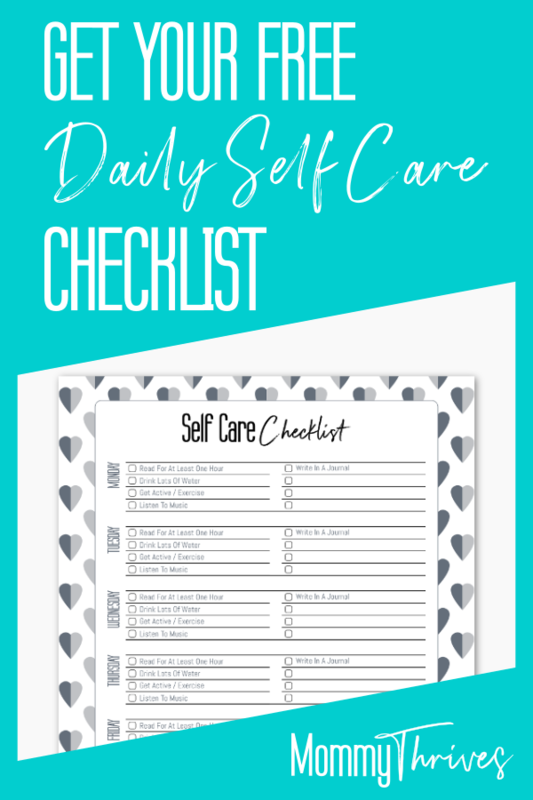 If you find yourself always looking for something else to do this type of self care helps you to slow down while also keeping your hands busy. For people who need to keep their hands busy it can be difficult to do the typical sit and relax self care ideas. A hobby is the best way to give yourself a sense of accomplishment while also taking care of yourself. Do you have a hobby? Let me know in the comments below. Follow me on Pinterest for more like this and pin this to your self care boards.